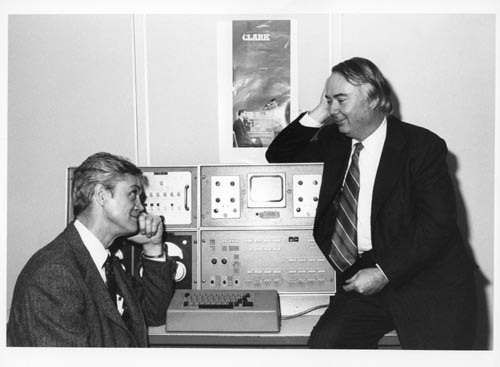 Black and white photograph with Wes Clark sitting in front of LINC console and Charles Molnar leaning on the display unit. On the wall is this image on a poster. C. 1960's Verso: #1654 in ink, Clark in pencil and P830 in blue pencil.